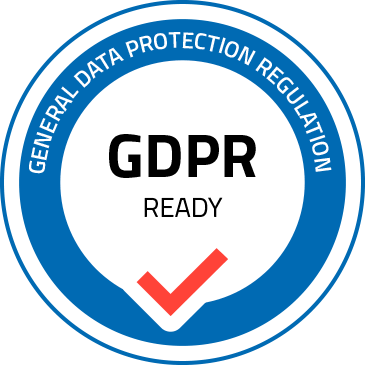 The General Data Protection Regulation (GDPR) is a European law that guarantees European citizens’ privacy. This regulation is designed to strengthen and unify data protection for all individuals within the EU. It is not just for European companies, but for any company doing business in Europe or with European customers. The regulation requires the active consent of customers and gives them new portability powers to control the transfer of their own information. It sets up significant penalties for non-compliance. The GDPR sets strict requirements on how personal data is processed, stored and shared in your systems like ERP, CRM, or DMS. Personal data can be any information which allows someone, directly or indirectly, to identify another natural person. As a document management solution, Docsvault can help you bring your content under control and establish the processes needed to achieve GDPR compliance by May 2018. Any email, digital file, paper, note or a document containing personal identification information is a personal data. That means, it must be stored, managed, protected and controlled in accordance with GDPR. Docsvault allows digitalizing and capturing data from various sources and organizing it in a centralized location for safe storage and quick retrieval. You can easily find and access all personal data in your documents. Metadata plays a key role in complying with GDPR. Document Profiling in Docsvault helps to improve the accessibility of your documents by correctly classifying, categorizing and describing information according to the regulation’s requirements. Once a document is captured and indexed, Docsvault can initiate other actions to ensure the information are properly treated and handled. You can find and access personal data by performing detailed searches based on profile values and also export them out as a report. Using user and group-based access control along with various system-level rights, you have the power to share and control access levels to documents in your repository while keeping sensitive documents locked and secure. On request, PDF correction & redaction tools can be used to exclude personal data before sharing documents. In Docsvault, you would be able to find, access, correct, export, protect and delete personal data – as well as maintain a record of these processing activities.